The rise of IoT technology has brought forth the demand for low cost, low-power, wide-area network solutions. 4G LTE (Long Term Evolution), which was developed and released during the last decade, offers faster and stronger capabilities than its predecessors, 3G, and 2G technologies, and at a lower operating cost. 4G connectivity ranges from high-bandwidth applications to value-optimized performance with cost versatility. 4G LTE continues to offer better coverage for remote areas and areas with difficult accessibility. One of the innovations of 4G is LTE Cat-M1 technology which was designed for low speed and battery sensitive products. Such devices could increase efficiency and value, while requiring even less power to operate, making them optimal for lower-bandwidth battery-operated applications. Starcom Systems has stepped forward to these latest innovations in technology. 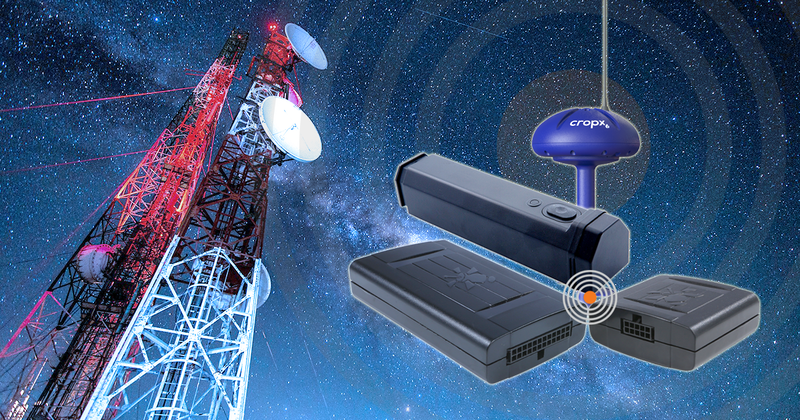 As we’ve integrated our Kylos technology into CropX soil sensors, that technology has also upgraded with wireless 4G connectivity, allowing for better coverage of the sensors and the better maintenance of the soil. Kylos has also successfully passed the Verizon certification test for operating on Verizon’s 4G LTE network in North America! As the demand for low power consumption products in that region is steadily growing, we see the investment in the LTE Cat-M1 upgrades as of grave importance. Thus, it goes without saying that these upgrades are planned to reach our other hardware products, in future hardware updates. Helios car tracking system, which is a global success story, has already been made better with these innovations! Both Helios Advanced and Helios TT have been upgraded with a new 4G modem, which enhances the systems’ connectivity and coverage, and are already in full operation in Australia. These new upgrades are designed to achieve the most optimal LTE Cat-M1 performance which includes a fall-back to 2G to help bridge the gap during network transitions. Starcom Systems will continue to work on implementing the utmost newest technology in all its products. Keep up with the innovations and offer the upgraded products to your customers! Contact us today at [email protected] to learn more about the 4G LTE Cat-M1 products!